Taking advantage of the public comment period, Pioneer Institute is today releasing its recommendations to the Governor’s Commission on the Future of Transportation. The suggestions cover governance, budgeting and operations, the role of public transit during a period of transformative change and maintaining a focus on increasing MBTA ridership. In terms of governance, Pioneer recommends combining “tight” oversight structures such as the MBTA’s Fiscal and Management Control Board for each MassDOT agency, and a “loose” board composed of the chairs of each agency board to coordinate operations. When it comes to budgeting and operations, transportation agencies should be empowered to seek efficiencies and pursue innovation. To eliminate massive backlogs and improve service, maintenance should be the top priority within agency budgets. Massachusetts and the nation are in the early stages of a mobility revolution fueled by rapid private-sector technological advances. The Commonwealth should adopt regulatory frameworks that facilitate rather than block these innovations, and performance benchmarking should be used to guide policy during this period of intense disruption. Finally, Pioneer urges the MBTA to stay focused on growing ridership. After a $2 billion improvement program is completed in 2024-25, capacity will increase by 50 percent on the Red Line and 40 percent on the Orange Line, enough to reduce traffic congestion, increase revenue and produce environmental benefits. 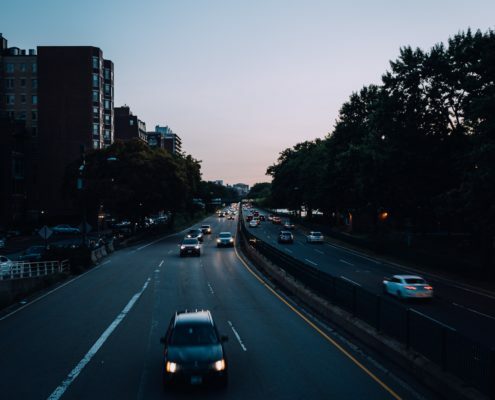 The Storrow Drive Tunnel Has The Lowest Sufficiency Rating In The Country, Why Hasn’t It Been Fixed Yet? https://pioneerinstitute.org/wp-content/uploads/Storrow.jpg 5000 4000 Jay Anderson http://pioneerinstitute.org/wp-content/uploads/logo_440x96.png Jay Anderson2018-10-10 14:08:472018-10-10 14:10:39The Storrow Drive Tunnel Has The Lowest Sufficiency Rating In The Country, Why Hasn’t It Been Fixed Yet?